Suction hose available in bulk 69973460 https://www.kaercher.com/ie/accessory/suction-hose-available-in-bulk-69973460.html Vacuum-resistant spiral hose can be cut to length for connection to submersible, garden, submersible pressure pumps and high-pressure pumps. 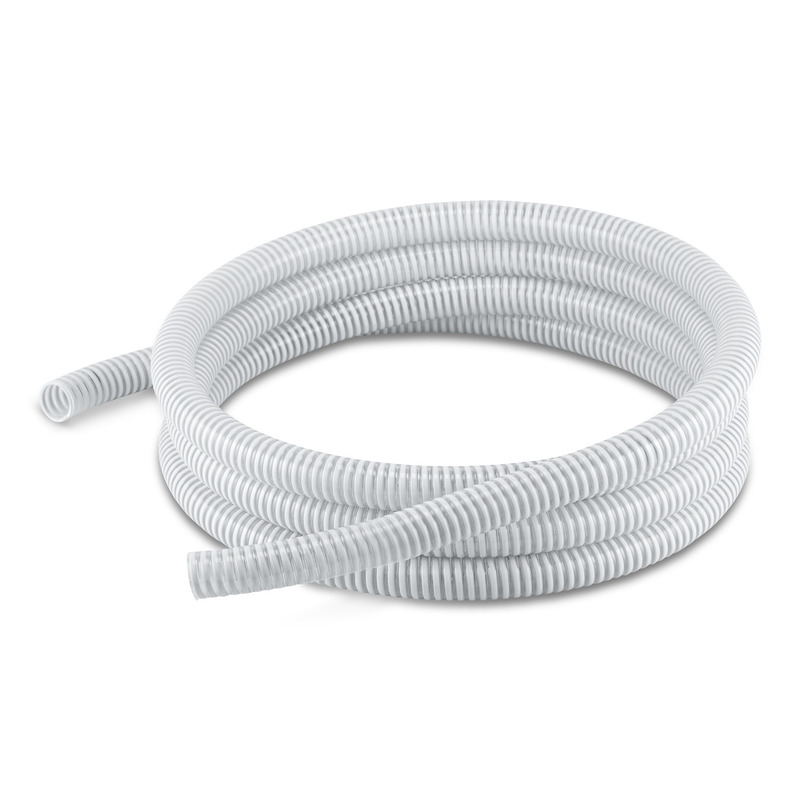 Vacuum-resistant spiral hose can be cut to length for connection to submersible, garden, submersible pressure pumps and high-pressure pumps. Vacuum-resistant spiral hose 1", 25 m available in bulk for general use. Hose can be cut to the required length. Can be used together with Kärcher adapters and Kärcher suction filters as individual sets. Ideal for connection to submersible pumps, garden pumps, submersible pressure pumps, high-pressure pumps for domestic use. Hoses can be cut to individual lengths. Can be used as individual suction hose kits in combination with connection pieces and suction filters.